Shaffir's talk was sponsored by UChicago Hillel, J Street, and the University of Chicago Alliance with Israel. Stav Shaffir, the youngest female member of the Knesset, or Israeli parliament, argued for increased budget transparency and unity among political progressives at International House last Thursday. 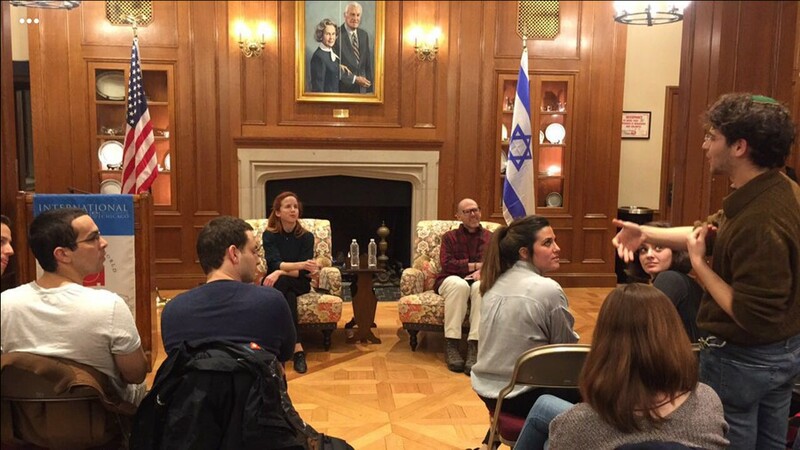 The 32-year-old Shaffir spoke on social reform and politics at an event co-hosted by UChicago Hillel, J Street, and the University of Chicago Alliance with Israel. Shaffir began her talk by describing the circumstances that led her toward a career in politics. In 2011, she was a full-time journalist, studying for a master’s degree, and living in a crumbling flat in Tel Aviv. Rent was high, and by the age of 25 she was already in debt. “This was the situation of most Israelis,” she said. After the protests, Shaffir said she received offers to join several political parties, but at first didn’t believe the protests she led should be partisan. But Shaffir realized the only way to fight government corruption was from within. Eventually, with no guidance or experience, she decided to join the Israeli Labor Party. She won a seat in parliament as a result in the 2013 general elections, attributing her victory to the aid of her volunteers. She soon realized however, that “there was no Politics for Dummies book.” The people who offered help were often those you shouldn’t take any from, she said. She joined the finance committee, and turned to expert groups from outside politics to help her write legislation. Having spent a lot of time in male-dominated areas, including the Israeli military, Shaffir never thought that being a woman should preclude her from success. Shaffir believed that the only way to end the corruption was to open it up to the public. It took another year to make the budget transparent after a Supreme Court appeal. In 2015, Shaffir started and chaired a semi-permanent Transparency Committee in parliament, and extended it to the 35-country Organisation for Economic Co-operation and Development (OECD). Shaffir said that her next objective is to rebuild the progressive movement. During the brief question-and-answer session after Shaffir’s talk, she discussed how young, progressive non-Israeli Jews can help the movement by visiting Israel and making use of social media to address activist causes. Shaffir also criticized the state’s reticence about discussing politics in schools.